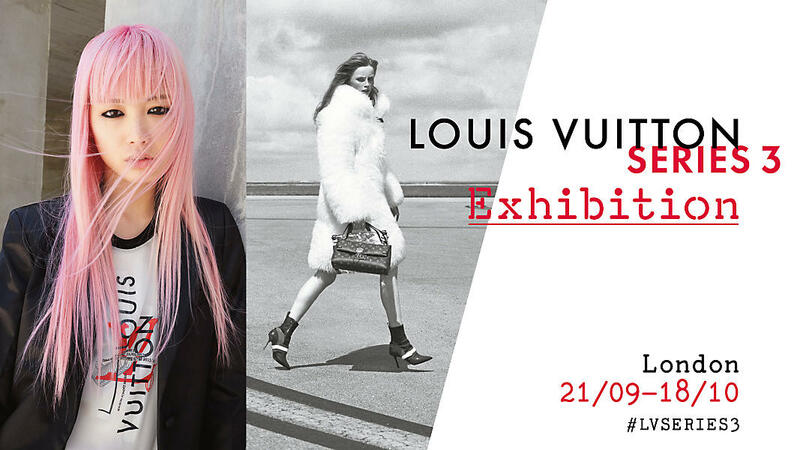 Situated on the Strand in central London, the Louis Vuitton Series 3 exhibition showcased Nicolas Ghesquire’s FW15 ready-to-wear womenswear collection for the elite French house. Following the Series 1 & 2 exhibitions in Toyko and Los Angeles, Series 3 was depicted in a way which left all of its visitors astounded due to its mesmerisation. What I loved about this exhibition was the true insight it illustrated into the creational process of high fashion collections. For so many people, fashion is perceived only as the final product: from a beautiful piece of clothing, to a sparkling piece of jewellery, to a statement accessory. But fashion is so much more than the final product, and this was illustrated perfectly in Series 3. Its title: Past, Present & Future is emphatic of the exhibition; visitors were able to see the past in how the products of this collection were made – a room titled a tale of craftsmanship focused solely on the LV artisans yielding classic couture bags from scratch. The present aspects of the exhibition were apparent in the Wardrobe Sensation room: garments, shoes and accessories from the FW15 collection hanging in flawless glass boxes, adding a dream-like, angelic tone to the wardrobe. As for the future, well, visitors were simply left wanting more, and craving to see not only Ghesquire’s SS16 collection, but any future creation under his direction for Louis Vuitton. The success in this exhibition lay in its narrative; each new room I entered was a juxtaposition to the previous room I had visited. In particular, the Infinite Show room was encircled with mirrors and tall, holographic digital presentations of each look from the show at Paris Fashion Week. This was then followed by The Science of Savoir-Faire which showcased the laser creativity of the house through a pitch black room, lit only by a bright green laser precisely tracing individual pieces to create the brands shoes and accessories. For me, the Accessories Gallery was a favourite in the exhibition, as the brightness and simplicity of the room filled with plain model statues literally highlighted the featured accessories on display, whilst also drawing on the traditional luggage aspects of the brand. Louis Vuitton Series 3 was an iconic experience for me, as I was able to gain a true sense of Nicholas Ghesquire’s inspirations for just one of his many collections, and a great understanding of a house which has so much influence in carrying the continual evolution of fashion in society.